How to approach a girl? Is it your problem? Do you find yourself dying to approach a girl you like? End your worries now! The purpose of writing this piece of information is to highlight some ways through which you can get your girl. Continue reading to know further in this regard! Stop fearing rejection End up your fear of being rejected by the girl. Be confident Be confident so that the girl cannot notice your fears. Make eye contact Making eye contact is the best trick to let her know that you are taking interest in her. Smile A smile is one of the best gestures that you can give to your girl. If she smiles back, it is a sign that she also likes you and you can approach her. Listen when she speaks Don’t just speak, but also listen carefully what she says. Approach her when she is in the group of her friends Approaching her when she is in a group, let her know about her importance in your eyes. It can be a good trick. Ask her on a date Ask her to go on a coffee or tea with you. Select a public place to give a good impact. Be respectful Respect her opinions and show respect in your actions. Don’t overthink it Ask for the date fast so that you don’t need to overthink the way you want to talk to her. Be ready for anything Rejection is a fact. There are the chances to getting rejected so be prepared for anything. Avoid being classified as a “friend” at all costs Don’t allow her to categorize you as a friend. Practice, practice, and practice The best thing you can do to become successful is practice. So, you can practice even in your home or in front of a mirror to speak what you want to say. Have your act together Just look like a decent guy and know a hint of the emotions of your girl before acting your turn. Don’t go for the goal line Don’t attempt to win the game just in one turn. Go step by step. Make a fast exit Try to end your first meeting quickly so that the girl doesn’t get bored. It may arouse her wish to meet you again. Be playful You can get her suggestions in your acts. For example, if you are in a coffee shop, you may ask her what to order. You can say that you cannot decide between two options so she can help you. Ask her for a favor You may ask her for a favor, for example, you can ask her to hold your jacket for a moment. Show that you are harmless Reveal that you are harmless for her. Even you can protect her. Follow her on social media You may show your likeness by following her on social media platforms. Be yourself You don’t need to be someone you are not in reality. Just be yourself and see if she likes you in a way you are. The first and foremost step how to approach a girl you should take in this journey is to end your fears. When you stop being fearing because of rejection, it will be the day of your success. In fact, a beautiful woman does not run away from you or she would not scream. Also, she doesn’t need to point out you in the public or make fun of you in front of her friends. On the other hand, it is a fact that she will respond you in a positive or neutral way. Why? Because even she is not interested in you but you are doing something that is making her happy. So, end your worries and move ahead. Don’t allow your fears to stop you from something that you want to do. you do not think yourself a loser even before trying. You shouldn’t overthink your meeting with her. It will be beneficial for you in many ways. How to approach a girl, First of all, it will not allow you to plan something fictional and you will be a person that you are in reality. Also, it has a particular goal. Create the spark of your interest and let her talk about herself more. Don’t try in your meeting to make her in love with you. All you need is to let her talk about what she wants. In this way, you will be able to start a smooth conversation in a content-free and playful way. 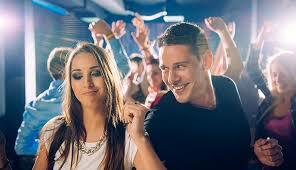 Try your best, be a good guy, and you may use some valuable tricks How to approach a girl. But you shouldn’t turn yourself away from the reality. Be ready for any kind of results. You can get the girl or not. For example, it is not a big issue for girls to provide their e-mail address or contact number to someone, but in life, you may meet with a girl who doesn’t like such things. She can be introvert, shy, or there can be any other issue due to which she will not be eager to provide you with her contact. How to approach a girl to become a good speaker is a good thing but be a good listener is also important. You should be a jolly person and keep her engaging in your conversation when she is with you. In addition to it, also listen carefully what she is speaking. Let her speak out what is in her heart. It will make her relax and also she will get to know that she can share her feelings and emotions with you. You may have heard that practice makes a man perfect how to approach a girl. This is what may help you in this case. If you are a shy person or you don’t know what to speak in a reasonable way, then practicing can help you. Where to practice? Well, you may select the words that you want to tell her, and then practice it in your room or in front of any mirror. It will help you to notice your emotions when you are saying specific lines. Also, you can make some corrections. Making a fast exit is the golden rule how to approach a girl. Actually, if you make your conversation long when you are approaching a beautiful girl, you get more opportunities to blow it with her. But the bad aspect is that, when you spend more time with her, you need to speak more, you need to act more, and in this way, you may make mistakes. So, adopt this approach and leave as soon as you can. Try to get her information that you want to get in the first meeting and then leave. It will make her curious about you and she may have a desire to meet you again. Also, when you talk more with her, she may get excuses to reject you. So, don’t provide her the opportunities to say something bad about you. It may happen that she will provide you with her contact number or e-mail address in just a minute, so you have to make conversation just for that minute. Leave the situation once you get her contact number. You may not ask her in a straightforward way but just make a reasonable excuse to leave. It also allows her to know that you have a life and you are happy in that. Another golden rule of how to approach a girl is to follow her on the social media. It will allow both of you to know the habits and lifestyle of each other. Furthermore, you can make more conversation and be in contact with her. It can help you to take your relationship to the next level. 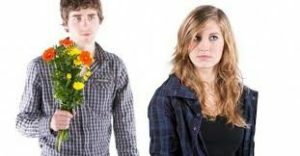 Shyness can hinder you to approach a girl. 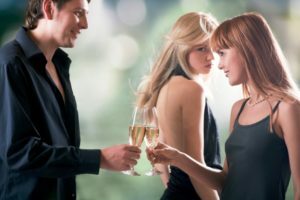 So, how to approach a girl when you have a shy or introvert personality? It is quite easy! All you need is to contact an expert or a professional to get assistance. A professional can help you to get out of this shyness and live your life to the full. There is nothing wrong with getting assistance in something you cannot handle. A good relationship starts with positive vibes. If you and the girl you like, both exchange positive vibes, then there may not be the need to use any trick. Hence, at times, you may use some tricks to initiate a relationship or even maintain it. I have written this article after thorough research and by keeping in mind different situations. But still, various people have questions about their relationships. Most of them are looking for how to approach a girl. If you also have related queries, you can ask anytime without any hesitation. I am available to respond to your questions. How to ask your queries? Well, I have made it simpler for you. All you need is to drop your question down in the comment. I remain busy answering your questions regularly. So, you should wait for your turn and don’t be anxious. Keep in mind that I will not go for anything dishonest. I will never provide you with something fake as I don’t want to provide you with timely satisfaction and avoid fake details. In addition to it, there is the likelihood that one trick works for a person but it may not work for the other person. It depends on the situation and nature of the person. Even if someone is rejecting you, don’t lose heart. In addition to it, all you require is to understand the other person. Well, don’t worry, whatever the problem is, whatever the condition is, I am here to help you. I take care of your privacy so I may delete some comments if I assume that they will create hurdles for individuals in the future. Probably, the above-mentioned tips would be assisting you in order to approach the girl. Actually, the positive vibes matter a lot. Both of you can exchange these vibes while meeting each other or even when you are around each other. Nobody can assure which trick will be most valuable, but being a genuine individual usually works. Also, you can wear your confidence as the best possible thing. It makes you a magnificent personality. The risk is always there for you, but you should never lose hope. Be optimistic and get the best possible services. You can choose an expert to get the help or simply leave a comment below to ask me what is bothering you. However, please keep one request in mind that ask only what is essential or what I haven’t mentioned in my article. I have to respond to a number of queries so it will be problematic for me and other people also if you ask the same things. It will save our time. Be a good and genuine person. Good luck with your sincere efforts.